AFE is a proud supporter and contributor of Seed Your Future! We need horticulture and we need floriculture. The value of food horticulture is easy to understand, but floriculture and ornamental horticulture are also deeply ingrained in our lives, our cultures, and society. Additionally, the environmental and psychological benefits of flowers and plants have been well known for many years. However, there are concerns that the perception of horticulture is increasingly passive (and sometimes outright negative), while much of the general public, especially young people, appear to have little or no awareness of the importance and value of horticulture and floriculture. 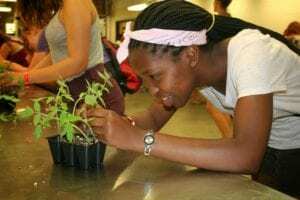 This has resulted in a loss of influence among governmental agencies at various levels and a reduction in students considering horticulture as a career. Seed Your Future (SYF) is a national movement started by Longwood Gardens and the American Society for Horticultural Science (ASHS). Along with the financial support of AFE, SYF aims to make more young people aware that horticulture is a vital, viable and exciting career path. Its goals are twofold: change the public perception of horticulture by calling attention to the positive qualities and diverse aspects of the profession; and attract more talented young people to careers in horticulture, thus ensuring the future of horticulture itself. To achieve these goals, we need our industry to unite and help propel it forward. SYF is developing a national outreach campaign, scheduled to launch in 2017, which includes an Education Plan to bolster curriculum and outreach across the country, and a Marketing and Advocacy Plan to influence youth, parents, and communities through multi-channel and crowdsourcing initiatives. SYF began due to the happy convergence of people and ideas from Longwood Gardens and ASHS. The movement started with a steering committee co-chaired by Doug Needham of Longwood Gardens and Mary Meyer of the University of Minnesota. It included Marnie Conley and Brian Trader of Longwood Gardens, and John Dole and Mike Neff of ASHS. It has grown dramatically since it was first launched in 2013. Susan E. Yoder is the inaugural executive director and the steering committee has been replaced with the SYF Leadership Cabinet and the Advisory Council. The SYF Leadership Cabinet is co-chaired by Anna Ball of Ball Horticultural and Paul Redman of Longwood Gardens. The Cabinet provides strategic leadership and fundraises for SYF. The Advisory Council, chaired by Charlie Hall of Texas A&M University, guides SYF and connects it to key industry, professional, education and government circles in the U.S. Numerous committees and workgroups are now forming to move the mission forward. The Education Plan will be tied to topical areas of interest popular with today’s youth. Teachers and other youth program leaders will be given tools to integrate key horticultural concepts and the love of plants into 7th- through 10th-grade classrooms and out-of-school time programs to support STEAM (Science, Technology, Engineering, Arts, and Mathematics) learning initiatives. We hope for subsequent phases to extend the program to elementary-age youth. Custom marketing plans will target youth and those who influence their career decisions, including parents, teachers, youth development program leaders and counselors, to increase high school participation in horticulture and plant sciences, and to attract students to 2- and 4-year college and university horticulture programs. Advocacy efforts to change the perception of horticulture will focus on education administrators, government officials and the general public. The SYF website, SeedYourFuture.org, launched in March 2016 and will continue to evolve as a national digital platform where young people can share a repository of posts, comments and photos that celebrate horticulture. What can you do to help? 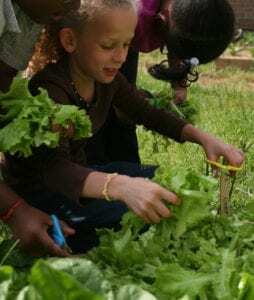 Support AFE as it continues to back Seed Your Future! For more direct involvement, contact Susan E. Yoder at syoder@seedyourfuture.org for volunteer opportunities.